We all have seen those gigantic pieces of cheesecake in local bakeries or restaurants. They look absolutely delicious. But then you think of the however many miles you will have to run to burn the calories from eating half of the slice. Never fear, the Super Mini Oreo Cheesecake is here! 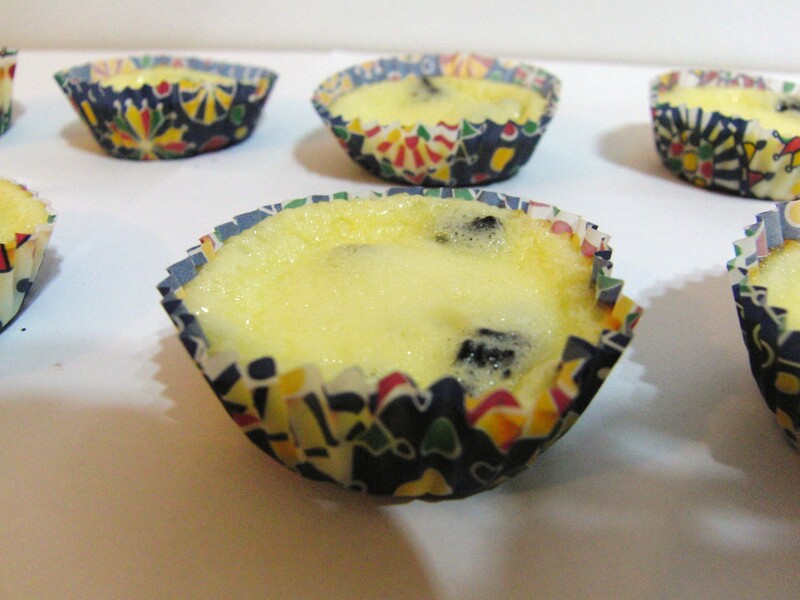 These cute little cheesecakes are perfect for snack or finger food at parties. And they don’t have nearly as much calories in them as the regular kinds. These cheesecakes are sure to please whoever has a craving for cheesecake. There are many variations to make this cheesecake. I also used Butterfingers and some extra Halloween candy to make these (they tasted just as great).